James C. Ellsworth was the handler of the first double agent in FBI history and part of the subject of Double Agent: The First Hero of World War II and How the FBI Outwitted and Destroyed a Nazi Spy Ring, written by Peter Duffy. Duffy used Ellsworth’s journals that provided a timeline of events in the case. Ellsworth had recorded the events after the arrests had been made. Ellsworth, a member of The Church of Jesus Christ of Latter-day Saints, had served as a full-time missionary to Germany and was uniquely qualified to work with German-born William G. Sebold, who was the double agent. Ellsworth had served in the city where Sebold was born. Ellsworth spent 16 months handling the case that eventually led to the arrest of 33 spies—still the largest espionage case in American history. After the successful completion of his counter-spy case, he was appointed assistant to the Special Agent in Charge of the Bureau in Los Angeles. Later, he was in charge of the field divisions in New Mexico, Oklahoma, Kansas, and Missouri. After his retirement from the FBI, he became a banker. He eventually worked as a security consultant to all of the 22 banks in 11 western states owned by Western Bank Corporation. James Ellsworth was called to serve as mission president in Frankfurt, Germany, in 1971 and later a sealer in the Los Angeles California Temple. He also served in many volunteer organizations. Ellsworth was born on April 8, 1908, in Thatcher, Arizona. He attended college at the University of Utah and the Kansas City Law School. 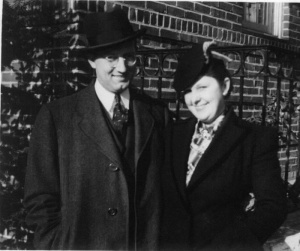 He and his wife, Nellie, were the parents of five children. He passed away on January 13, 1998. This page was last edited on 27 February 2018, at 16:11.